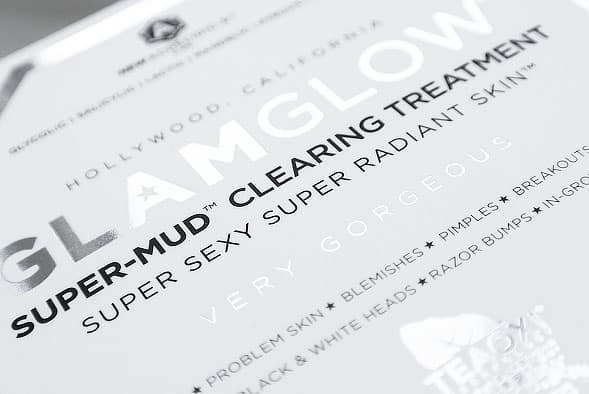 If you follow me on Twitter, you’ll know how much of a massive fan I am of the original GLAMGLOW Mud Mask. When compared to a lot of the others out there that I’ve tried, this is the difference between Bagpuss and Sonic The freaking Hedgehog! It’s highly charged and undoubtedly powerful, packed full of pore reducing, acne busting and skin refining goodness. It’s very similar in consistency to the original, definitely mud-like but not overly thick and compacted. Apply it on with a brush, which will give you the most even level of coverage and means that you aren’t wasting any by over-applying in some areas. Now the original has a bit of a sting to it, it does warn you, but this one packs a punch. Now it’s not a sting in the same way you get if you ever have a reaction to a product, it’s the zingy sting that you get if you ever use Imperial Source Mint Shower Gel on your man parts. It’s actually the ACNECIDIC-6 complex getting to work but don’t worry though, this dies down fairly quickly, but it’s mainly as your pores are opened, dirt is being latched onto and the extermination of p.Acne bacteria has begun. I was really unsure I wanted to publish the photo above as it makes my pores look obscene, but I will explain to you what’s going on. 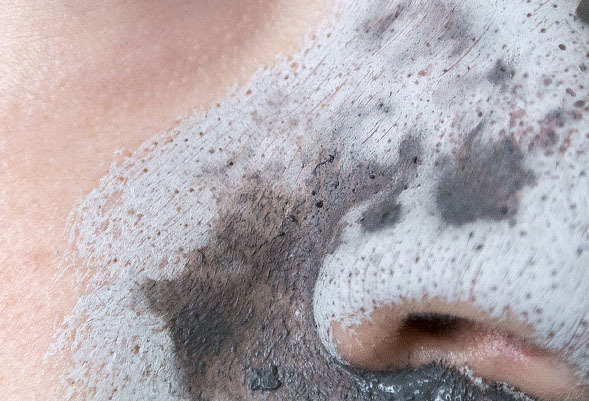 As the mask begins to dry, PORE-MATRIX technology begins to activate and you’ll notice the mask darkens over the pores. A vacuum like effect is then created over the trapped dirt and debris, which is in turn lifted out from the skin. Redness and inflammation are also massively reduced. GLAMGLOW recommend that you leave it on for 5, 10, 15 or 20 minutes. I felt it needed around 20 minutes to half an hour to properly set and then just rinse it off with water, or preferable a facial sponge. 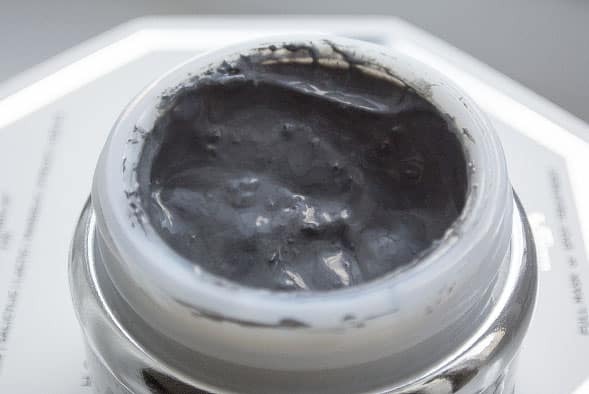 You can use the mask all over which will give you about 17 applications from one tub, or, they suggest you can get around 1,000 spot treatments out of it, just by applying a small amount of the product over the offending area. I’ve been applying the mask all over my T-Zone and leaving out my cheeks as they tend to be pretty ok when left to their own devices. It’s recommended use is 2-3 times per week, but personally I believe this to be a little over-the-top and would recommend it 1 to 2 times per week, evenly spaced. 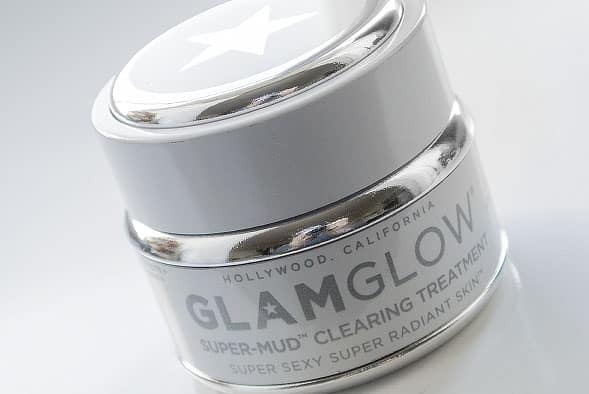 The GLAMGLOW SUPER-MUD is different from its YOUTHMUD counterpart because this is a totally different product. I noticed – massively tighter pores after only one treatment (this effect has not worn-off), the immediate extermination of problem spots, complete refinement of my skin’s texture and a general smooth and calmed appearance – all after around 3 treatments. For men, at whatever age, buy this, I’m not messing about here. If you’re concerned with larger pores, blocked follicles, general spots and blackheads, then here’s your cure. It actually does something and not leaving you feeling like you’re just sitting there with a bit of old field/nature on your face. This article first appeared on MANFACE written by Thom Watson. It was published on Sunday 25th November 2012 and was last updated on Monday 3rd April 2017 at 4:06pm. It's categorised under Acne, spots & blemishes, Enlarged / Blocked Pores, GLAMGLOW, Mask where you'll find more related content. This sounds like an amazing mask treatment. I seriously need to give it a try! I love how you explain what is happening and how the mask is actually working too.